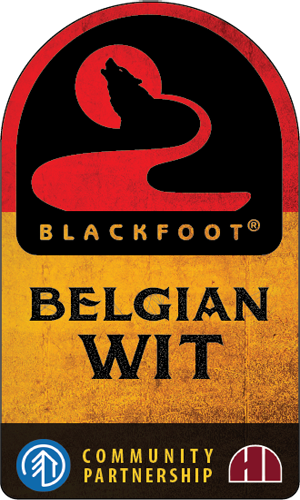 Blackfoot River Brewing Company’s Belgian Wit is brewed with un-malted wheat, orange zest, coriander, and Belgian Wit ale yeast. The un-malted wheat adds a distinctively cloudy, pale yellow appearance and a uniquely creamy body. The Belgian yeast, along with the orange zest and coriander, produce a sweet, citrusy aroma. The finish is slightly dry, tart, and refreshing. The Belgian Wit was brewed as part of our Community Partnership program with CWG Architects and Helena Industries.